I went to Arakawa cycling road with my brother-in-law. We dropped by Rikugien on our way home. Green in the morning was beautiful. 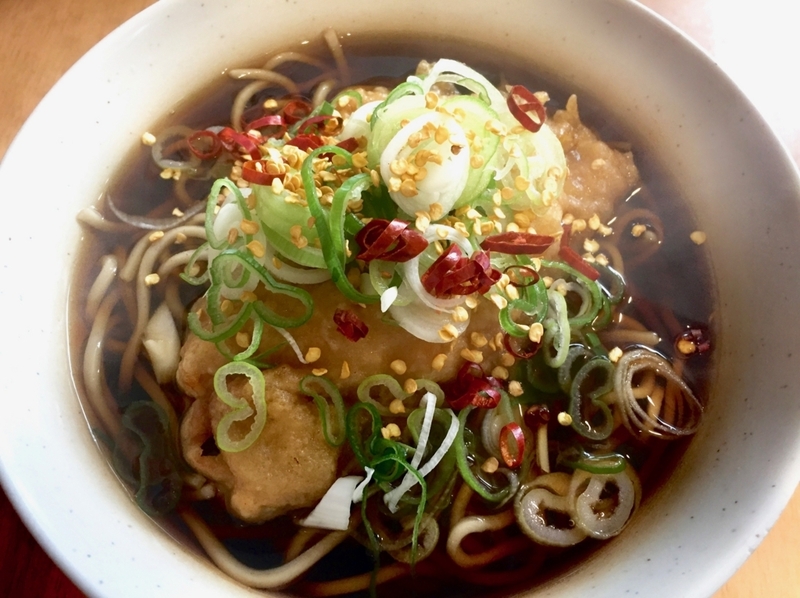 We ate soba for breakfast at Ichi-Maru-Soba in Komagome. It's a valuable shop that is open from 5:30 am every day of the year. Soba with red pepper was delicious.